Check out Matt Borghi & Michael Teager's critically-acclaimed ambient music project. 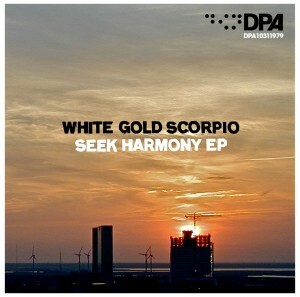 White Gold Scorpio‘s latest release, Seek Harmony EP, was made available this week. This 30-minute offering features 9 diverse tracks that include noctural songs, processed grooves, and a dash of noise and musique concréte. I contributed some tenor to a few tunes. I had a lot of fun recording these parts at my home studio and I think the complete recording sounds great. Seek Harmony EP is available through Bandcamp here. You can name your price (including free), download, and listen away. Check it out! 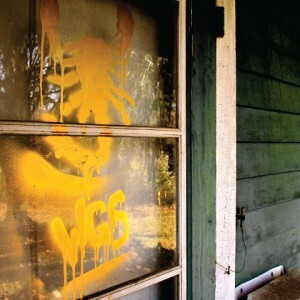 As mentioned in my last update, I contributed some sounds to Brooklyn-based White Gold Scorpio‘s new album Halloween Island. While the album won’t officially be released until 10.31.12, it’s now available for free download here. Do check it out. I didn’t hear the finished product until just the other day, and I really like how it turned out. I’m on two songs – “Throw Myself At You” and “Scare You Like I Do” – but please give the whole thing a listen. You’ll be glad you did. In other news, The Fencemen stomp through Mac’s Bar in Lansing this Sunday. And I have other shows lined (and lining) up for August and September. You can find those here. I return to the US at the end of this week. I’ve seen some great live music (Bregenzer Festspiele, Montreux Jazz Festival) and also busked some, but now I’m ready to come home and get back into the studio and on the stage.